Apple CEO Tim Cook has successfully navigated his company through President Donald Trump’s trade war with China — but the escalating fight still threatens to disrupt the iPhone giant’s bottom line. Apple’s popular gadgets were spared in the Trump administration’s latest round of tariffs on $200 billion worth of products from China, thanks in part to savvy maneuvering by Cook that allows him to do what few others can: simultaneously criticize and endear himself to a temperamental, impulse-driven president. Trump has already warned that he could impose tariffs on an additional $267 billion worth of goods, covering just about all Chinese exports to the U.S. That could very well ensnare Apple’s Chinese-made devices, including the flagship iPhone, just as the highly lucrative holiday shopping season gets underway. 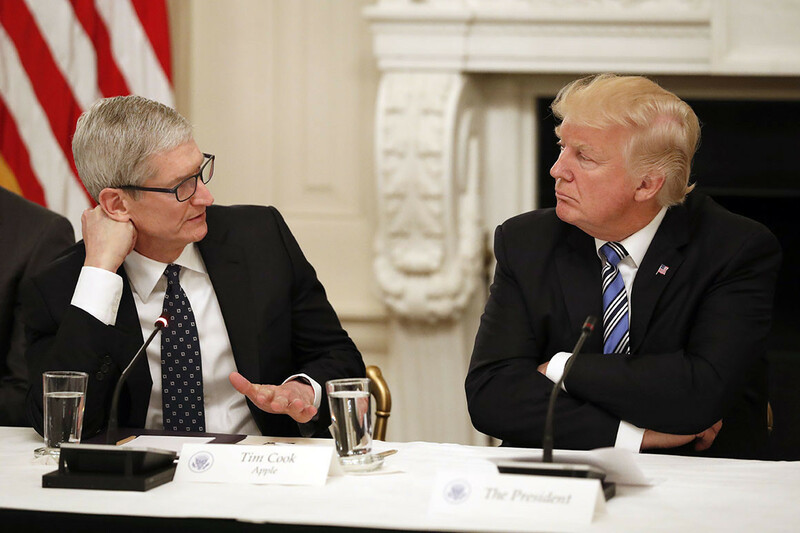 Cook offered his own explanation Tuesday for why the Trump administration went easy on Apple, telling “Good Morning America” that his company’s devices are assembled in China but include parts from the U.S.
“I think they looked at this and said it’s not really great for the United States to put a tariff on those type of products,” Cook said. That appeared to be a reference to comments Trump first made last year, saying Apple planned to build three “big” plants in the U.S. — a claim the company neither confirmed nor denied. The president has since reiterated Apple’s alleged pledge on several occasions.